The other day I shared about how hard this parenting thing is. Parenting is not for the weak, but there are many times, moments, days, etc., when I realize that I AM weak. It's taken me many, many years to realize that I am never strong enough to do things on my own. The only way I can get through each day is by resting on Jesus. He gives me a strength that I can't achieve in my own power. 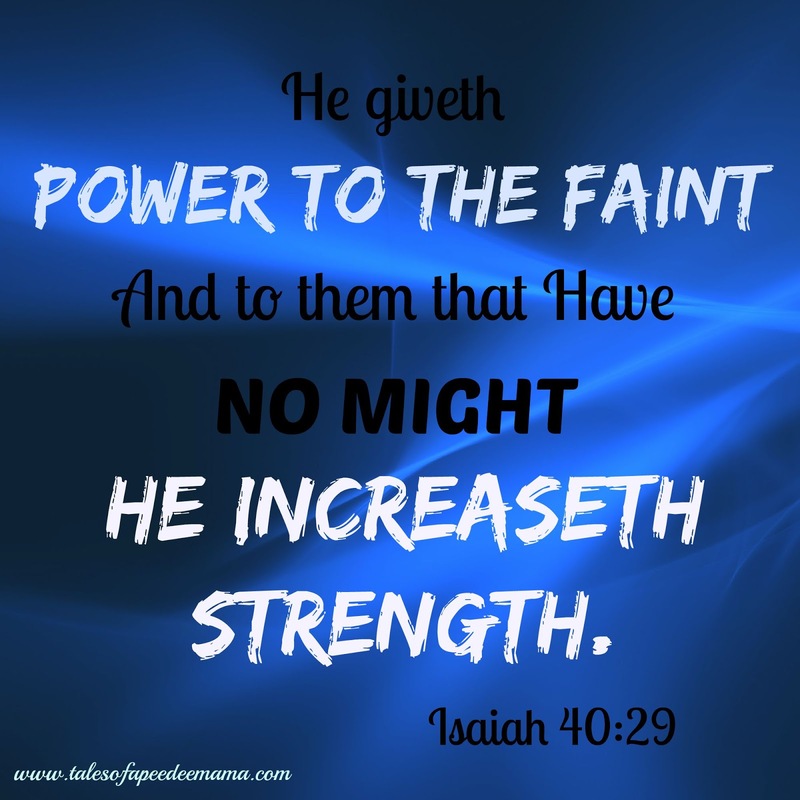 I am so grateful that He gives me power when I am faint, and when I have no might, He increases my strength. What a wonderful promise to rest in!